Insulated Container for 1/2 or less of Premier Chocolates | Insulated Shipping Containers | Online Store | Belgian Chocolatier Piron, Inc. Insulated packaging, complete with ice packs, to help keep chocolates from melting when shipping to warm weather states. 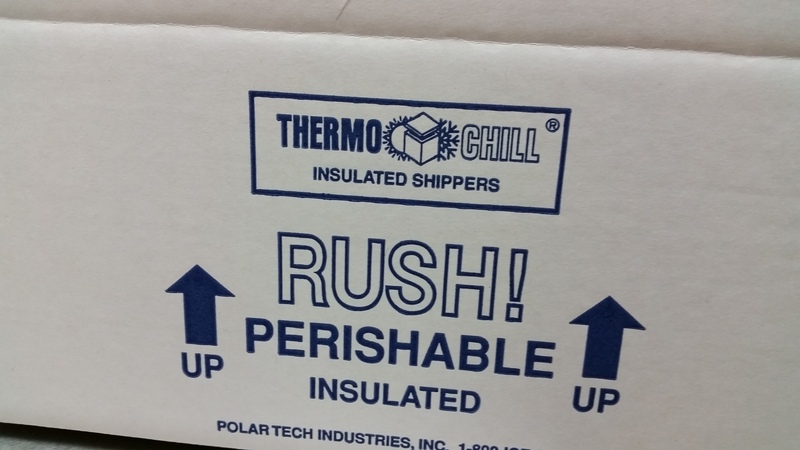 This is absolutely necessary for packages being shipped to any area warmer than 65 degrees, and is used in conjunction with 2nd Day Air Shipments, or any shipment from and to a warm area that is no longer than 2 days. The ice packs included will only last 2 days. You are certainly welcome to call us at 847-864-5504 to be certain this is necessary for your particular package, and we will work with you to provide the most cost-efficient, but effective, shipping container and method.